The Club’s support of AFL began as a foundation sponsor of the Merimbula Diggers Football club 25 years ago, a partnership that still continues today. In recent times they commenced a sponsorship arrangement with the Sapphire Coast AFL beginning in the late 90s. This relationship has seen the profile of AFL lifted considerably with events like the 1996 Merimbula RSL Club Challenge between St Kilda and the Brisbane Lions at Berrambool Oval, and more recently, the Carlton Football Club Community Camp held in early 2008. The Bendigo Bank brand established over 150 years ago in two great Australian communities, Bendigo in Victoria and Adelaide in South Australia. With 6,500 employees who serve 1.5 million customers in more than 500 comunities Australia wide the Bendigo Bank Brand is truly committed to servicing and building local communities through local initiatives. The Pambula & District Community Bank will continue its association with AFL Sapphire Coast’s for the 2019 season. Since the branch was opened in December 2008 the branch has proudly sponsored local organisations and initiatives to the total of $190,000. With the branch currently sponsoring the Pambula Panthers it shows their passion for developing Australian Rules Football within the Sapphire Coast. Domino’s Tura Beach have come on as a partner for the 2019 season as they look to build strong links with their local community. After taking over the store in 2018, Kylie and Johann have worked hard on setting a high standard of quality from their outlet. As part of their sponsorship, Domino’s Tura Beach will provide two weekly awards to recognise the outstanding player performances, or just the great work of the leagues members, volunteers and officials. 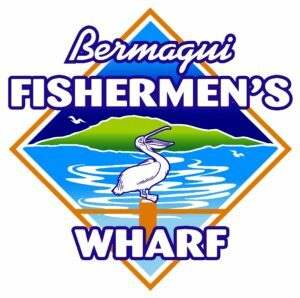 With three years of planning and 10 months of labour, the Bermagui Fisherman’s Wharf was officially opened in December 2009 and is home to 11 locally run businesses. AFL Sapphire Coast is extremely proud to be partnered with the Bermagui Fisherman’s Wharf in 2018 in supporting the leagues junior representative program. Sherwood Sportswear is an Australian made and owned custom sportswear manufacturer. Previously known as ‘Sherwood Knitting Mills’, Sherwood was established in Melbourne’s inner-western suburb of Yarraville by the ‘Spicer Family’ in 1930 specialising then in knitted football jumpers for the VFL for over 50 years. Now with over 80 years of experience, Sherwood is one of the industry’s longest standing local manufacturers of high quality, 100% Australian Made Sportswear. The Sapphire Coast AFL is extremely proud to partner with Sherwood Sportswear in 2017 for the supply of our representative playing gear. A staple of the Sapphire Coast for many years, East Coast Radio operate both 2EC and Power FM Bega Bay with studio’s in both Bega and Batemans Bay and broadcast across the full Sapphire Coast region – from the Victorian and New South Wales border up to Batemans Bay. Power FM broadcasts on two frequencies, 102.5 FM, covering the Bega Valley local government area, and 104.3 FM, covering the Eurobodalla Shire local government area while 2EC broadcast on 105.5 FM for Eden and surrounds and 105.9 across the Eurobodalla. Both stations have local announcers and news readers, providing local content 7 days a week. The reach and reliability of both Power FM and 2EC provides a great opportunity to further promote Australian Rules Football within the Sapphire Coast region and we are excited about the opportunities this partnership will provide.